3D optical metrology using structured light projection is now a well established technique for the rapid gathering of 3D co-ordinate details of a device under test (DUT). The technique is completely non-contact and lends itself well to areas such as Automated Optical Inspection (AOI), Solder Paste Inspection (SPI) and small mechanical parts (MOI) in inline assembly processes. In such applications, the whole surface height distribution of the DUT can be calculated and compared with a reference in seconds. 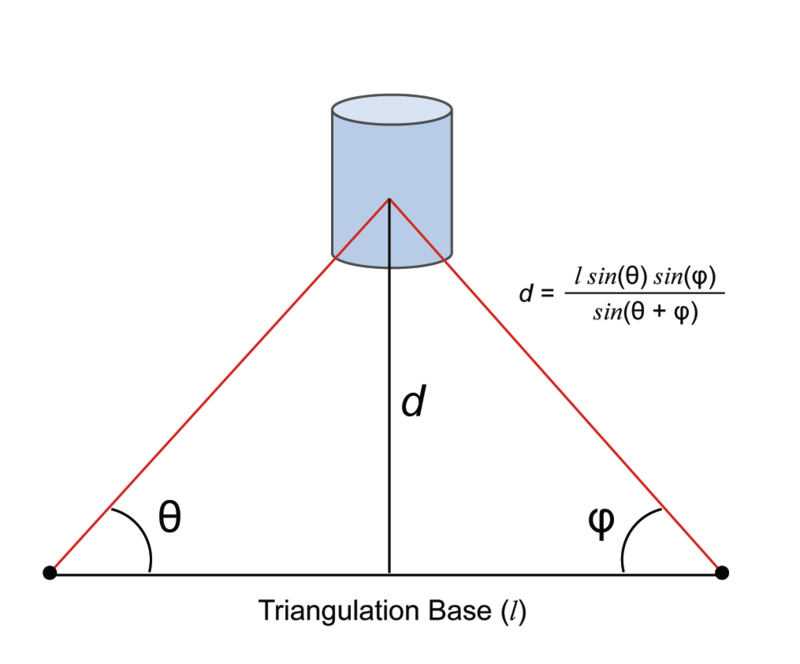 Generally, structured light based measurement systems work using the principle of triangulation, where a series of light points (pixels) are projected as a pattern onto the surface of the DUT. The deformation of the projected pattern by the DUT is captured by the system camera and compared with the original (reference) pattern of the projector. 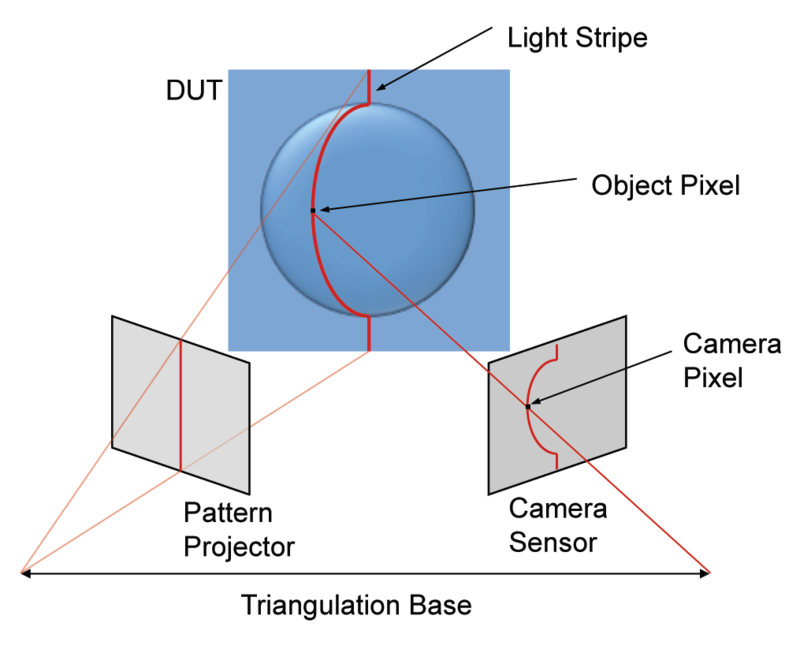 Each pixel is identifiable through pattern coding techniques and, as both the angle of the projector and angle of the camera are known, triangulation can be used to determine the height for each pixel (co-ordinate point). The pattern choice for the structured light is linked to the processing techniques used to calculate the 3D co-ordinate data. This choice is influenced by application parameters such as accuracy, measurement cycle time and DUT surface characteristics, amongst others. Typically, patterns tend to be either a series of 1-bit Gray code stripe patterns or a series of sinusoidal n-bit greyscale patterns (used for phase shift techniques where the projected pattern is phase modulated by the DUT height distribution). Sometimes a system may use a combination of both. Non-contact surface quality inspections with high accuracy can be achieved by fringe projection and confocal inspection methods enabled through the use of our microdisplay systems. The availability of a third dimension of measurement enables both surface roughness and depth measurements for quality control of critical components in the electronic, optical and semiconductor manufacturing industries. Our microdisplay offers a further advantage of high speed which allows faster 3D measurements without loss of precision. Forth Dimension Displays SXGA-3DM and QXGA-3DM solution is specifically designed to meet the demands of optical metrology system builders. Structured Light Projectors for off-axis inspection are commercially available. Please contact us for references.